Do you want to get free Acer Swift 3 Laptop SF315-51-518S? 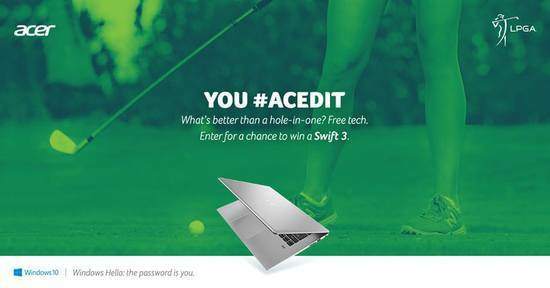 If yes, then participate Acer AcedIt Sweepstakes at Acer USA Facebook or Twitter Page for your chance to win Acer Swift Laptop absolutely free of cost. This is the Free Online Sweepstakes and there is no purchase is required to enter this Acer AcedIt Giveaway 2018. To enter, First of allFollow up Acer USA Facebook or Twitter Page and comment ‘#AcedIt’ to the post within 48 hours after Entry SMS is posted on Acer USA Facebook or Twitter Page. So hurry up and enter right now!